infestations. She worked on the project while earning her doctoral degree in entomology. “It looks like it’s going to be an asset for water seeding and organic growers,” said Emily Kraus, who studied the use of jasmonic acid for her doctoral dissertation. 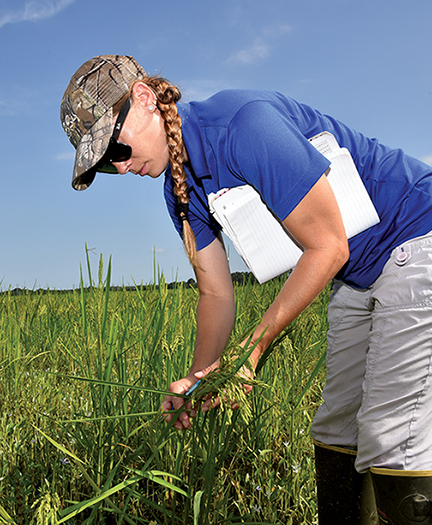 Kraus was studying whether jasmonic acid can be used as a seed treatment to reduce rice water weevil populations.